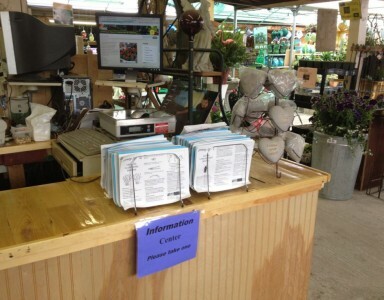 Right when you enter our newly renovated store you will see the Information Center. Here you can pick up some literature on growing tips, new arrivals, and more. You can also spend some time with our expert growers and “talk shop”. Stop by and let us help you with your lawn, garden, or decorative project.